Mr Samart Loifah, the governor of Tak Province, sent shockwaves through the Burmese refugee camps when he told reporters earlier this week that Thai authorities had been discussing with Burmese officials the possibility of closing the border camps. Mr. Loifah also speculated that Thai authorities would target Burmese pro-democracy opposition groups living on the Thai side of the border. Mr Loifah’s statements were made after meetings were held between the two countries in an attempt to reopen the Mae Sot border crossing. 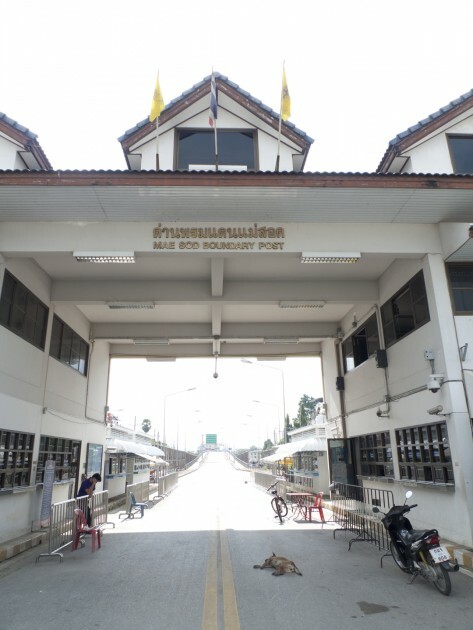 Burmese officials closed the Mae Sot Friendship Bridge in July 2010 in what many international and regional security analysts claim was an attempt to put the squeeze on local Mae Sot businesses to pressure the Thai government to crack down on pro-democracy groups based on the border. The pressure is working. Local Mae Sot businesses are hurting from the border closure. A shopkeeper told Karen News that his daily takings are down by 10’s of thousands of dollars. Prasert Juengkijrungroj, the secretary general of the Tak Chamber of Commerce, based in Mae Sot, told The Bangkok Post in November 2010, that the bridge closure was costing traders a 100 million baht a day. Initially business people on both sides of the border were informed the border closure was a reprisal for the building of an easy-to-remove concrete embankment on the Thai side. Later it was understood the Bridge would reopen after the Burmese election in November 2010. Today they are still waiting as Burmese authorities keep upping the ante. Meanwhile, the 144,000 Burmese refugees living in Thailand are feeling the heat. Experienced aid workers who have worked with refuges for decades and who briefed Karen News on condition of anonymity said. A camp health worker said refugees feel caught, resettlement programs are slowing, funding for camp programs is being slashed and their once-generous Thai hosts are saber rattling. Refugees say that in recent months Thai authorities have been re registering refugees in Tak province in what many refugees say is an attempt to appease the Burmese authorities and get the border reopened for trade.